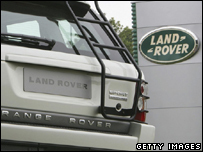 BBC NEWS | Business | What price for Jaguar and Land Rover? Though not yet ready to tell the world, Ford Motor appears to have made up its mind about who should buy its luxury subsidiaries Jaguar and Land Rover. The long-tipped front-runner Tata, which is also the bidder favoured by the unions, remains the favourite to be granted preferred bidder status. This would mean it gets to take a closer look at Jaguar's and Land Rover's financial figures - though nobody at Ford is prepared to confirm this. A formal announcement is expected early next year. A Ford spokesman said no decision had been made and the firm was continuing in discussions with the interested parties. The price tag is believed to be somewhere in the region of $1.5bn (£750m), perhaps even $2bn, which begs the question: Will the buyer end up paying too much, or is Ford selling too cheaply? Several factors are pushing the price up. Both marques are truly prestigious, well beyond Britain's borders. In the US, Jaguar came third in JD Power's latest sales satisfaction survey of existing customers, with Land Rover 11th - ahead of rival BMW and well above Jeep. Moreover, in recent weeks, both car makers have presented new models that have been warmly received. Jaguar's latest XF model is seen as a very worthy replacement for the S-class. 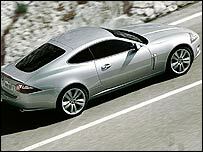 The hope is that the XF - along with a replacement for its more upmarket XJ model - will do much to revive sales. Land Rover's LRX concept, meanwhile, which is small and more car-like than the company's Freelander model, will first go on show at the Detroit motor show in January. Like the XF, this model has also attracted much praise in the motoring press. Formally, it will be up to the new owner to decide whether or not this model will ever go into production, though there is every chance that it will. Land Rover is really not in a position where it can squander money on fancy concepts without eyeing quick and decent returns. But there are also strong reasons why Ford initially struggled to find a buyer for Jaguar and Land Rover. Indeed, when the marques were first put up for sale in spring, several rivals made interested noises, but in the end none of them threw their hat into the ring. Can the XF help revive Jaguar sales? This may appear strange, given that Ford is believed to have invested about $10bn in Jaguar since it paid $2.5bn for the marque in 1989. But Ford never made any money from its stint as a Jaguar-owner, hence its rivals were spooked by the prospect of being next in line to pour cash into the Big Cat's hungry jaws. Besides, none of them seemed too keen to load up on yet more gas-guzzlers at a time when the regulators are tightening emission rules. Yet the main problem faced by Jaguar is that though it is a rival of sorts to upmarket saloon-makers such as Audi, BMW and Mercedes - and in the US to Lexus, which is puny in Europe - it was never destined for high-volume production. So when the pushy Detroit parent crowed about a surge in sales on the back of the Mondeo-based X-type budget-Jag, the Big Cat loyalists responded with groans before deserting in droves. Since 2002, when Jaguar delivered 130,000 cars, sales have halved. And crucially, in the US sales fell even faster, from 60,000 in 2002 to 20,000 last year. None of this makes it possible to determine what a fair price for Jaguar and Land Rover should be, though given that Land Rover is both profitable and fully topped up with Ford investment it seems likely that any buyer will get a lot for the money. 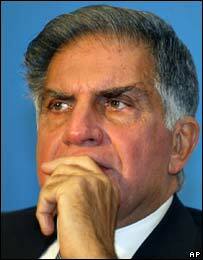 He's one of the most respected corporate chieftains in India. To capitalise rather than lose on the venture, the new owner must keep pouring in the cash, though. High-end research and development will be required to maintain the value of the Jaguar brand in particular - a brand that could lose its cache if customers sensed that standards were slipping. Again, Tata has strong cards to play with, given its R&D involvement with Warwick University, where Professor Lord Kumar Bhattacharyya has founded the Warwick Manufacturing Group (WMG). Tata is in partnership talks with the WMG, alongside industrial giants such as BAE Systems, Dassault Systemes, and SAP, as well as Symantec, GE Healthcare and IBM. But the Indian firm is not the only car maker involved in the talks, with Jaguar and Land Rover also seated around the table. Such ventures could easily be supplemented by Tata Motor's deep pockets. It is part of Indian industrialist Ratan Tata's increasingly global industrial empire, which already owns the steel company Corus in the UK. And for Tata, investment in Jaguar and Land Rover technology would not be wasted. Lessons learned could be applied to its own models, helping it steal a march on its Indian rivals. Tata is both India's largest industrial group and an automotive giant with global goals. India's automotive industry prepares to supply motorcycles, cars and parts.